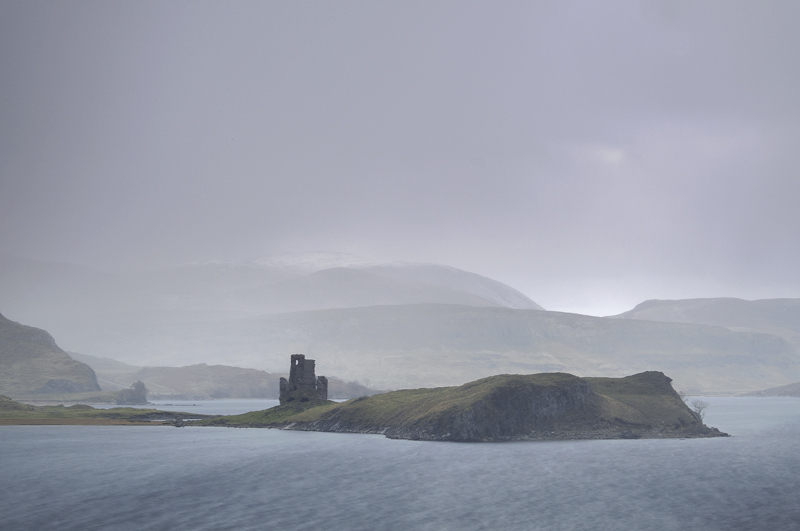 It really is difficult to imagine a bleaker outlook on a cold winter day than Ardvreck Castle at Loch Assynt but I cannot imagine a more thrilling sight than a snow storm smashing into this old ruined castle shortly to obliterate the view. If motive and mood were everything then this surely has it by the bucket load. I find it devastatingly beautiful, cheerlessly thrilling with just a faint hope of light spilling through to layer the shoulders of land castle and mountain.